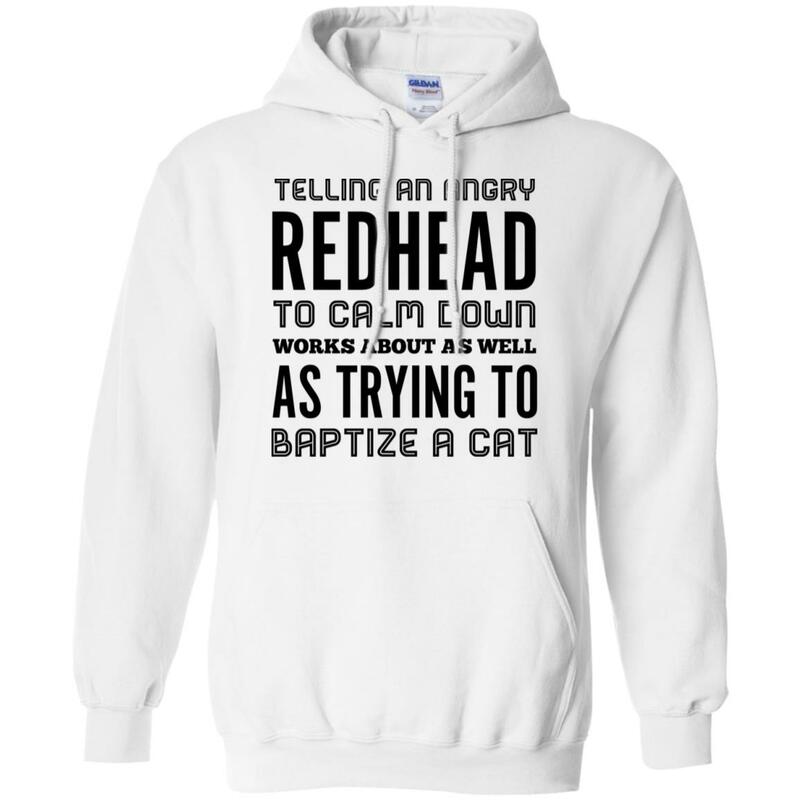 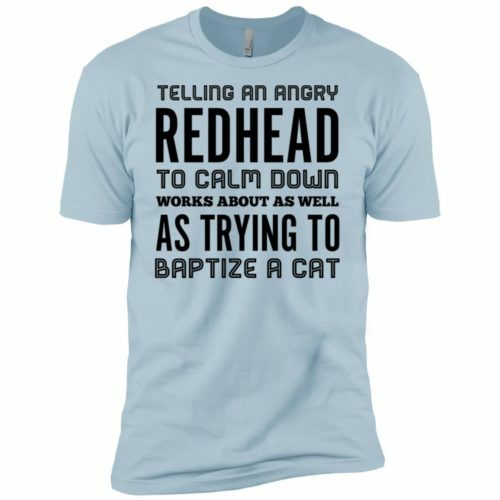 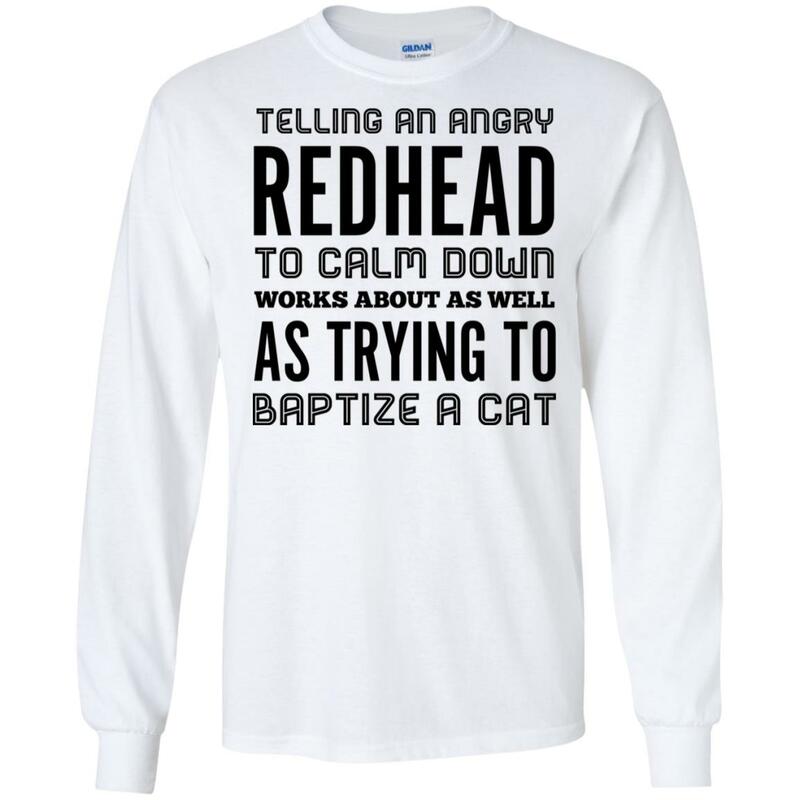 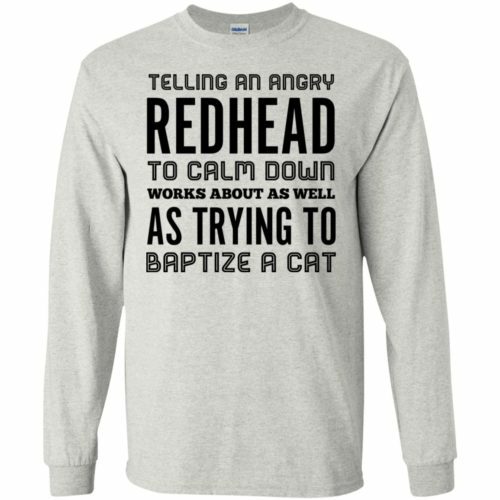 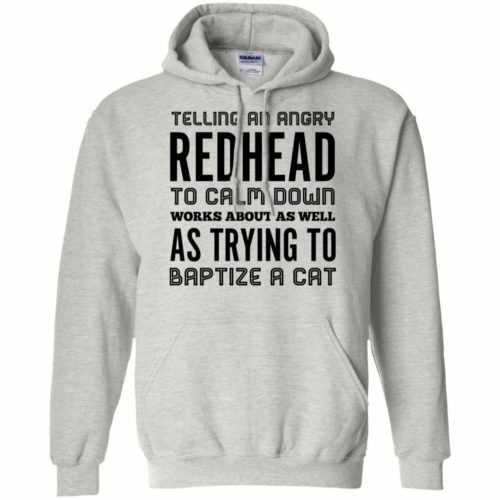 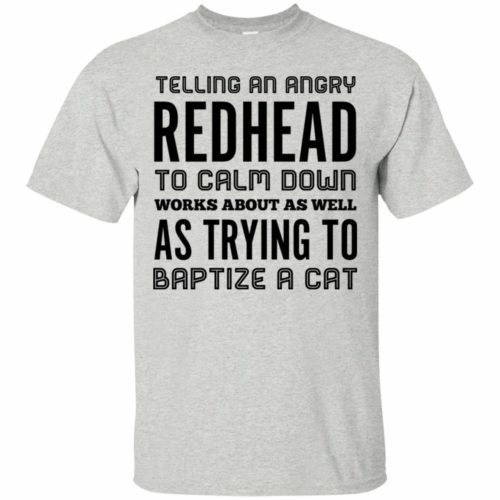 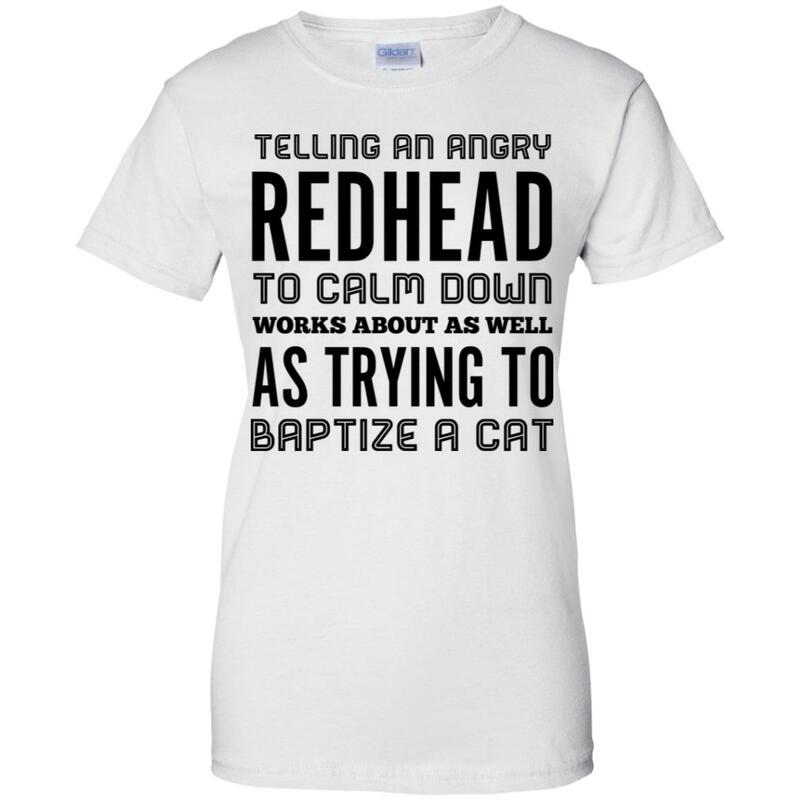 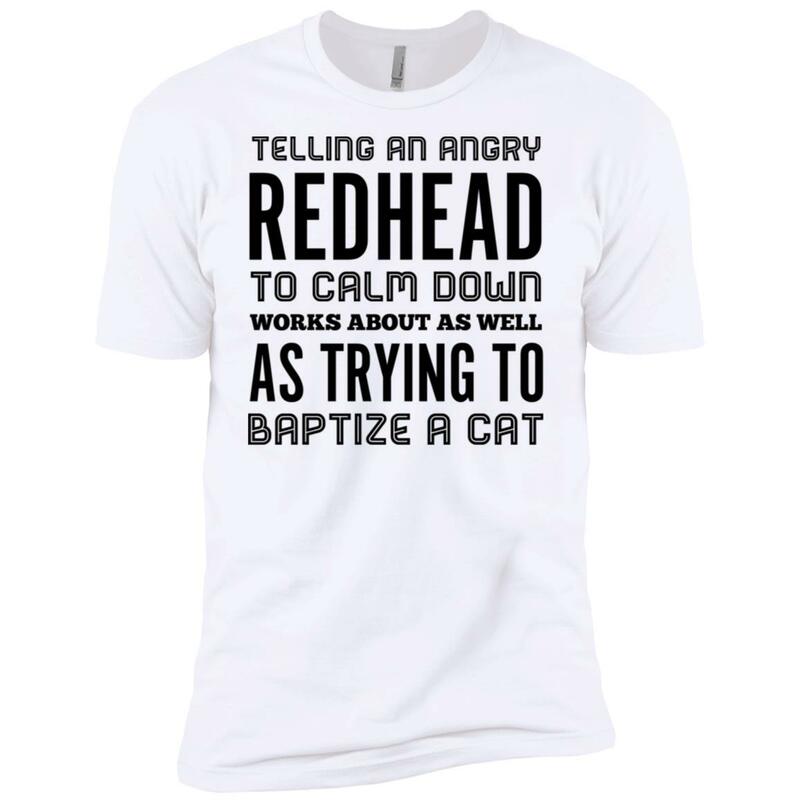 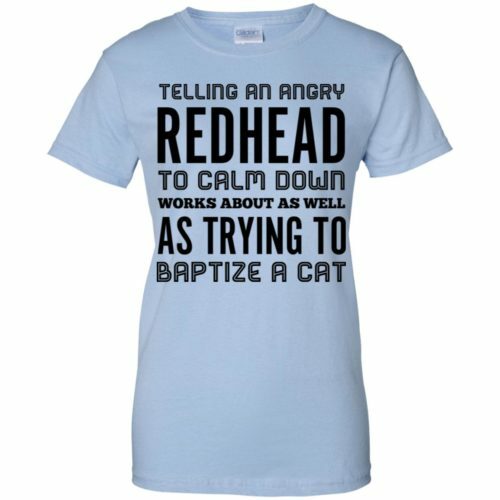 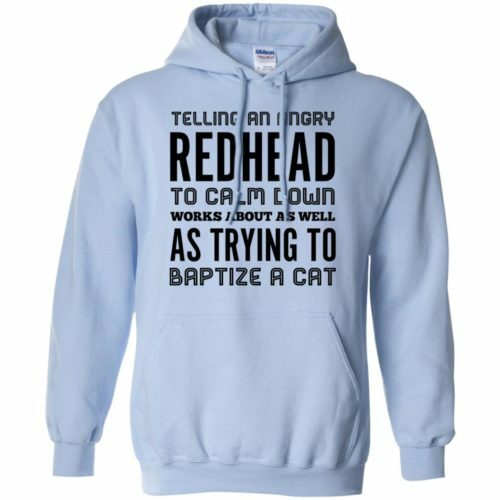 Telling an angry redhead to calm down works about as well as try to baptize a cat shirt. 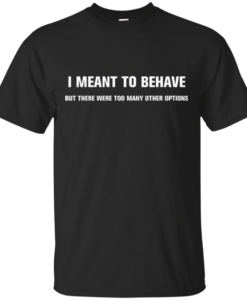 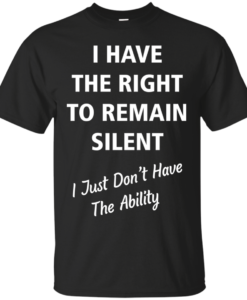 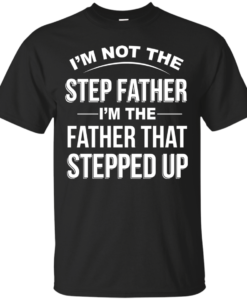 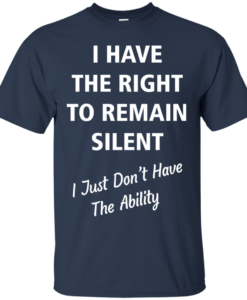 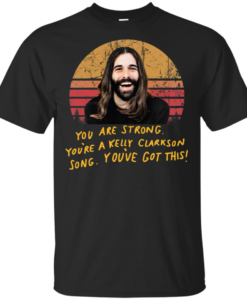 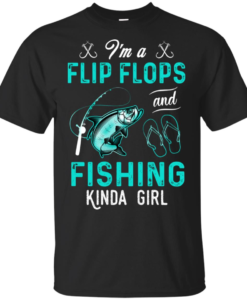 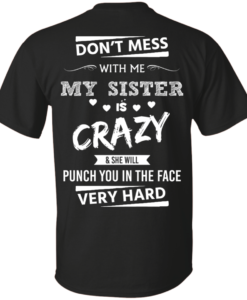 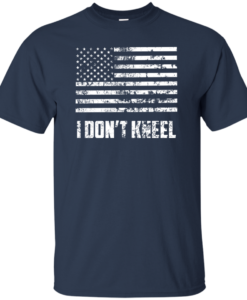 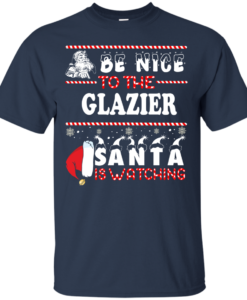 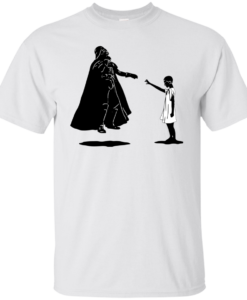 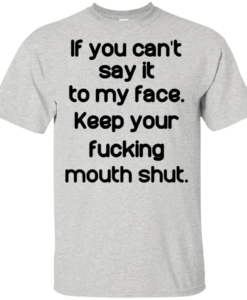 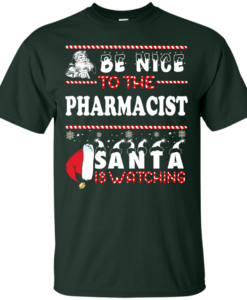 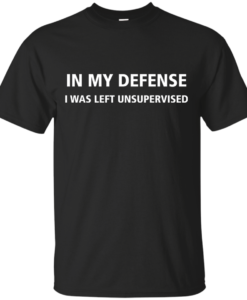 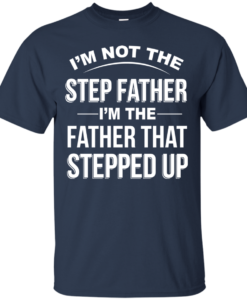 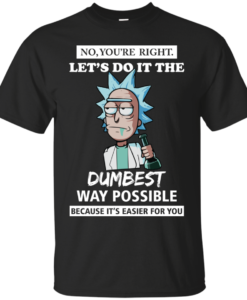 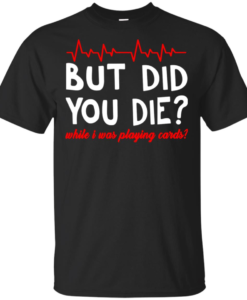 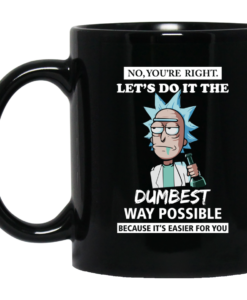 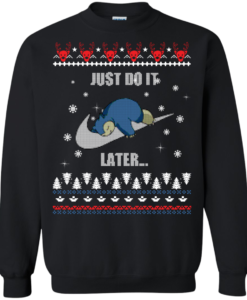 This shirt available in hoodies, tank top, long sleeve and t shirts. You can choose white, ash color. If you need a different color, please let us know.